Intel server building blocks are built on a foundation of industry-leading technology and deliver world-class server boards, chassis, RAID and solid state flash products that solve customers’ problems. 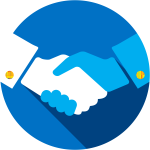 Our commitment and exclusive partnership with Intel offers you the edge to set your business apart from the competition. With focused products designed to span multiple use-cases and customization requirements, you can evolve and expand your business as you exceed customer expectations. We are committed to providing you an extraordinary customer experience. We listen and adapt based on our channel partner’s needs. We deliver the pre-validated server solutions, extended warranty options, support, and software to give you an advantage in the market. Intel Server Products offer best-in-class design and uncompromising quality standards. Extensive testing and validation means you can trust them to perform. Faster to market. Intel tests, validates and certifies the Intel Server Products so you do not have to. Get products to your customers quicker and set your business apart. Inventory flexibility. We stock our validated configuration of Intel® Server Boards and System building block components to ensure we have servers available for the highest inventory flexibility. Clear upgrade paths. Sell customer solutions with clear upgrade paths that allow you to build custom, scalable servers for your customer’ diverse needs. Customization. More opportunity to differentiate yourself by offering faster support and resolution with customized configuration and support plans. Establish longer term customers. Nurture your customer relationships for the long-term as bizinuity offers extended warranties and unbeatable service. Intel® Server Chassis configured in Tower, 1U, 2U or 4U Rack. Includes advanced onboard diagnostics, tool-less features, six full height expansion slots, and optional dual hot-swap power supplies. Designed for maximum performance, reliability and expandability, this fully integrated Intel® Server System is ideal for applications such as database, e-mail, storage, and virtualization. This server offers world-class performance, scalable management, and maximum expandability with dual-socket CPU performance, capacity in I/O and storage, and reliability options for today and long-term. Intel® Server Main Board. Supports up to two processors from the Intel® Xeon® processor E5 series, 16 highly scalable memory sockets, and flexible storage configurations. Intel® Xeon® Processors to improve productivity, security, and power efficiency. New technologies built-in help boost performance, protect data, and help lower operating costs. Up to 1TB of Intel® Certified Server Class ECC Fully Buffered RAM with options for High Availability. Intel® Hot Swap drive bays fully configurable with High performance SAS, SSD or Enterprise SATA Hard Drives. All carefully selected with Industry’s highest hours MTBF. Available in 4,8,16 and 24 bay configuations. Hot Spare Hard Drive. The RAID array can dedicate one of the hard drives to as a spare drive ready and waiting to come online and take the place of a failed hard drive. This provides an extra layer of protection of your data. Intel® RAID Controller offers fully intelligent hardware RAID 0, 1, 5, 6 and Spans 10, 50, 60. Advanced error checking algorithms to provide exceptional performance and data protection. Super-Multi DVD. Super-Multi technology supports CD, DVD±R, and DVD-R formats. Intel® Server Tower or 1U Chassis. Includes onboard diagnostics, tool-less features, six full height expansion slots. This server offers great server performance—ideal for small or medium businesses needing cost-effective servers for e-mail, print and basic business support applications. A compelling combination of value in features and performance at an entry-level cost, ideal for quiet office environments with an ultra-low acoustic design. Intel® Server Main Board. Supports one processor from the Intel® Xeon® processor E3 series, 4 memory sockets for up 64GB or RAM, and flexible storage configurations. 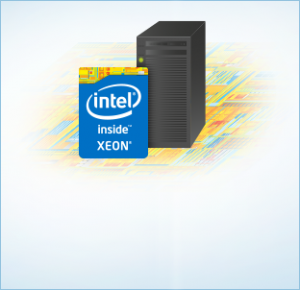 Intel® Xeon® Processor to improve productivity, security, and power efficiency. 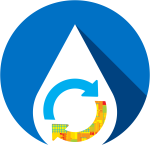 New technologies built-in help boost performance, protect data, and help lower operating costs. Up to 128GB of Intel® Certified Server Class ECC RAM. Intel® Hot Swap drive bays fully configurable with High performance SAS, SSD or Enterprise SATA Hard Drives. All carefully selected with Industry’s highest hours MTBF. 1 Depending on purchased or bundled warranty plan.